Kansas Rural Opportunity Zones - Southeast KANSASWORKS, Inc.
There’s something special about life in rural Kansas. Something authentic, something that makes it the ideal place to live, to work, and raise a family. Thanks to the Kansas Rural Opportunity Zones program, there’s never been a better time than now to make rural Kansas your new home! 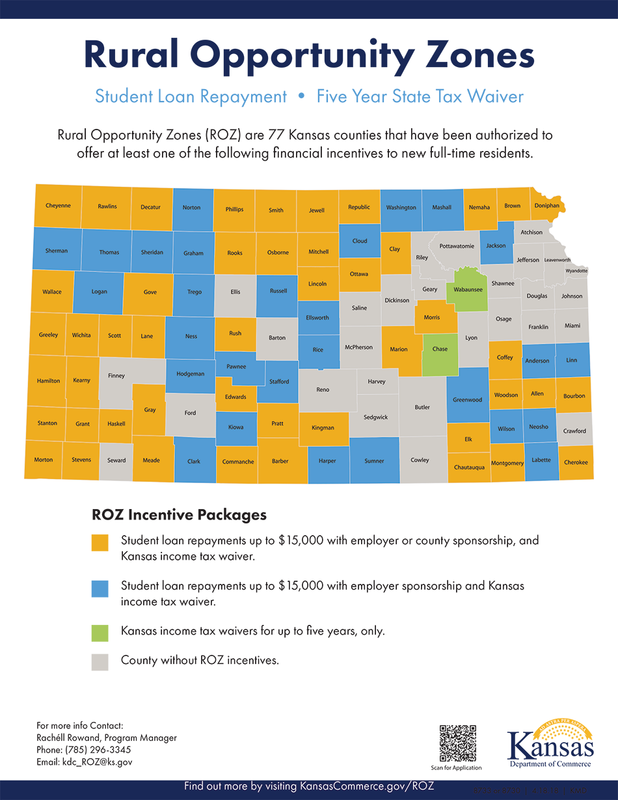 If you’re looking for lower cost of living, better quality of life, and help repaying your student loans; Kansas is the best choice.